Why Wait? Shop Top Black Friday Deals Now with Gazelle! Gazelle The Horn > Gazelle News > Promotions > Why Wait? Shop Black Friday Now! Are you ready for the biggest shopping day of the year? Gazelle has your back with the top Black Friday deals in tech, along with a special, limited new discount for the early birds. Trust us, you do NOT want to miss out on this limited offer! 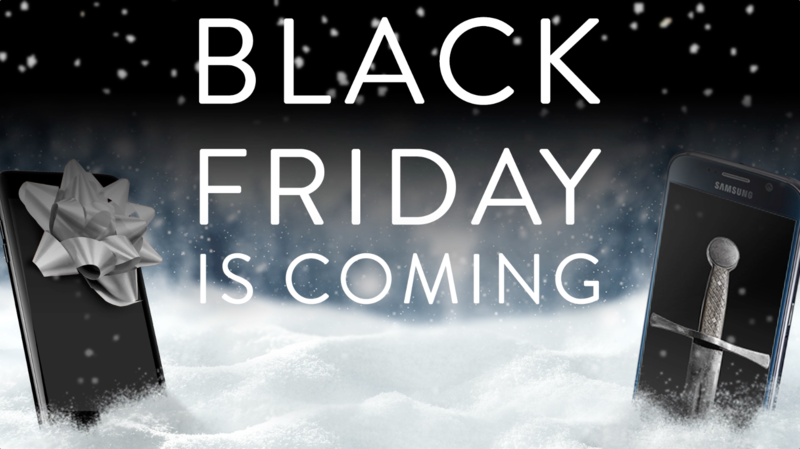 On Black Friday, November 24th, not only will we be offering the biggest deals of the season, but we’re also dropping a special link on our Facebook page. The first 20 people to purchase through this link on Black Friday will receive $50 off of their order! To receive this limited discount, you’ll need to complete your order online – or another lucky shopper may take claim if time runs out. Your holiday shopping could be a total breeze this year with this season’s best prices on phones, laptops and iPads. Save the stress and mess of last minute shopping and save big with gently used tech from Gazelle. Check out our current pre- Black Friday deals below, and make sure to keep your eyes peeled on our Facebook page for the special link! Shop pre-Black Friday Deals now.